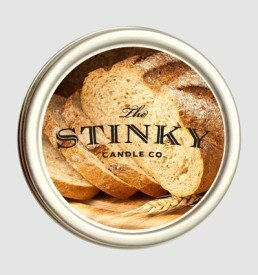 Manly Man Package (4 oz) - Stinky Candle Co. 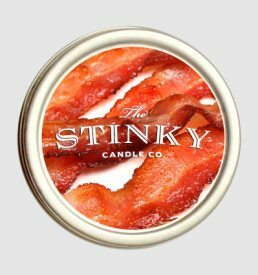 This hulking trifecta of candles is composed of the core scents that remind a man of his primal instincts. Whether he’s in the mood for the meaty smell of sizzling bacon, the fresh tang of newly fallen timber, or the unmistakable fragrance of a charcoal-black leather jacket, he’ll get them all with this special celebration of testosterone. 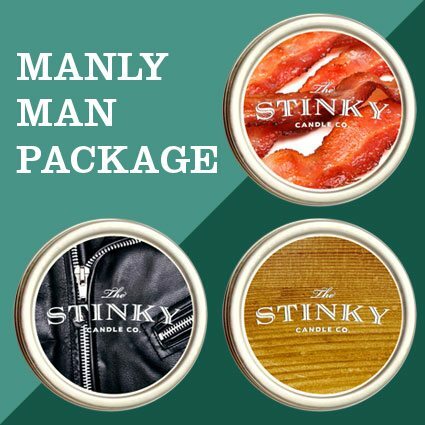 The Manly Man Combo includes Bacon, Timber and Leather Jacket. 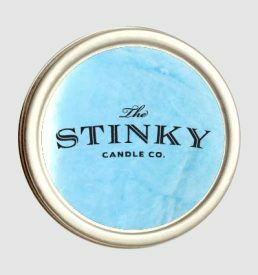 If you would like us to replace one of these candles with a different one please make a note of it in your order and we will see what we can do for you.